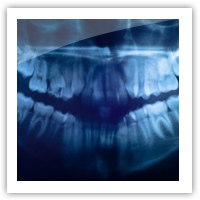 Highly detailed images and important information can be obtained through the use of X-rays, and Dr. Kristi Alexander, your local Fair Oaks, CA dentist uses them to look inside your jaw and bone structure to diagnose problems that would otherwise remain hidden. Dr. Alexander uses only the finest X-ray system at her office as well as providing one of the highest quality digital images, it also reduces the amount of radiation by 80 percent when compared to traditional X-ray systems. It is a great asset to have in our office. Contact us for additional information on digital X-rays in Fair Oaks.